"Hull are vastly overpriced at [3.7] to win and that may normally be enough for me, but value could be added by adding a scorer permutation. You could do a lot worse than choosing Jarrod Bowen. Since the start of last season, Bowen has scored a Hull high of 20 league goals." I was guilty of understimating Hull City at the start of this season. In my defence they were seriously poor at the beginning of this campaign, but I was well off the mark when I suggested they had little heart. 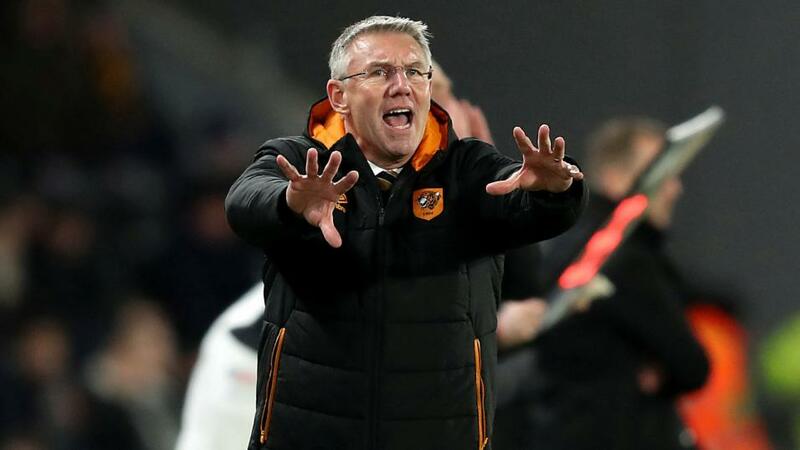 The Tigers have gritted their teeth and worked hard for manager Nigel Adkins who deserves a lot of credit for the job he's doing. Hull are unbeaten in three away league games (W2, D1), after losing the previous five in a row. In fact they have only lost to Nottingham Forest in their last six Championship games. Prior to that run of success Hull had taken only two points from 21 and Adkins has shown his doggedness in steering them back on track. Adkins can be forgiven for fancying his chances of taking all three points on Saturday against a Millwall side without a win in five league games (D2, L3), conceding 10 goals in the process. Also in Hull's favour is recent history. Millwall have failed to score in their last two home league games against Hull (D1, L1) having scored six in two games before that (4-0 and 2-0). Hull are vastly overpriced at [3.7] to win and that may normally be enough for me, but value could be added by adding a scorer permutation. You could do a lot worse than choosing Jarrod Bowen. Since the start of last season, Bowen has scored a Hull high of 20 league goals. He grabbed two in last weekend's 3-2 away win over QPR and the price of Jarrod Bowen to score in a Hull win is far too tempting to win at [8.28]. Norwich and Leeds are starting to build a slight gap at the top of the Championship table and after winning seven of their last eight matches the Canaries will not fear the visit of Bolton this weekend. Bolton haven't picked up a win in 10 matches, earning just three points and scoring only three goals during that period. They have also failed to score in five of their last seven away league games, only notching against fellow strugglers Roterham and Millwall. It's safe to say the Trotters face tougher Championship opponents on Saturday. One of the safest bets this weekend is on a Norwich clean sheet. Wanderers simply don't pack a punch, scoring only 14 goals this season. That is less than any other side in the division and only Ipswich, with 49, have had fewer shots on target than the Trotters 54. Bolton lurk a point above the drop zone and it seems almost inevitable that they will fall further and struggle to stay up this season. At the other end of the Championship form spectrum are Norwich who have lost only one game in their last 15 league games (D3, W11). They are also unbeaten in four home league games against Bolton (W3,D1) since they last lost to them in November 2000. Bolton did beat Norwich in the home leg last season and secured a 0-0 draw in this corresponding fixture, but this is a different Norwich side, whose confidence is sky high. At [1.37], Norwich are far too short for me to back them to win, even though I think they will comfortably take the three points. It's just not my kind of price. To add a little more value, I am taking striker Teemu Pukki to score against Bolton. He has bagged six goals in his last five Championship appearances and is 5/6 to score on Saturday. Norwich to win and Teemu Pukki to score is [2.25] and, on the basis I believe the Canaries win at least 2-0, it has a great chance. Birmingham appear to have got over their November blues. After an 11 match unbeaten run in the league (D6, W5) they began November with two defeats and a draw, despite scoring six goals. But the month ended well with a 2-0 away win over Millwall and they began December with a 3-0 home win against Preston. Whether it's a resurgence or simply a return to normal form, Gary Monk has taken his team four points shy of the play-off places. The upturn shouldn't end with the visit of Bristol City. Birmingham have won four of their last five home games, drawn the other match and scored 14 goals in the process. They are unbeaten in 10 matches at St. Andrew's and they also won each of their last four home games against Bristol City. You certainly can't hang your betting hats on a City city side who, if you described them as inconsistent, would snap your hand off for such high praise. Bristol City had lost four on the bounce, but have shown resilience with an away win over Ipswich and a 1-1 draw with Millwall. Don't get two excited however, those twp sides are struggling in the relegation zone. City have won none of their last eight league visits to St. Andrew's (D2, L6) since they last beat the Blues away in March 1993. Everything points to a Birmingham victory and the price of [2.26] holds plenty of appeal. But with striker Lukas Jutkiewicz in prolific form having already passed the 10-goal mark for the third time ever in an English league season he is a decent punt to notch another at 6/4 anytime. Back Birmingham to win and Lukas Jutkiewicz to score at [3.94].